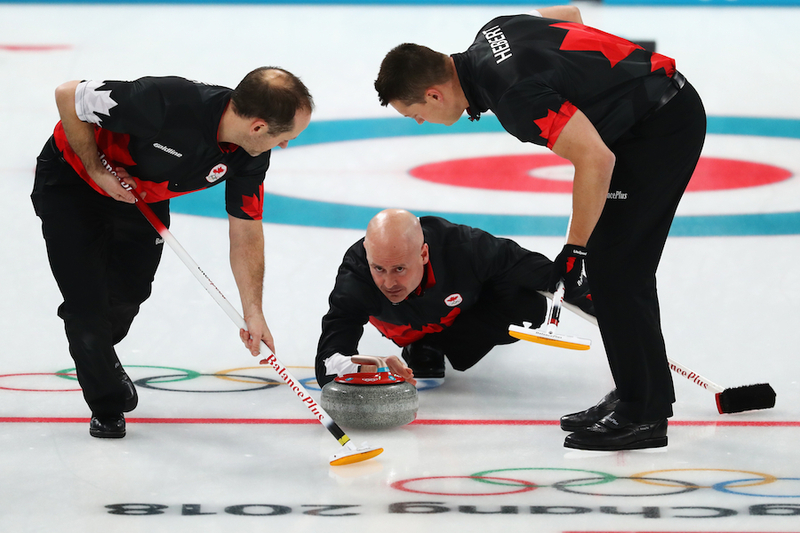 Curling: 4 Things You Should Know About The Olympics' Most Misunderstood Sport! Curling is a sport that has been making people scratch their heads for years. It has been the subject of hilarious gifs and YouTube videos, but it seems audiences still don't completely understand how it works. As curlers scream at the rock as it glides down the ice, it's hard to not crack a smile, but Curling is no joke! It takes strategy, tactics, and skill, and it deserves some r-e-s-p-e-c-t! So how exactly does curling work? 1. What Are Those Brooms For Anyways? While watching the "sweepers" frantically move their brooms across the surface of the ice, it might remind you of someone who is furiously cleaning before some last-minute company rings the doorbell. The sweeping actually changes the path of the rock after it's thrown down the ice. The brooms warm up the ice, reducing friction, allowing the rock to move in a straight line as it moves towards the target. 2. Wait, So What's The "Rock"? Without the rock, there is no Curling. Two teams of four players each slide a rock down the ice toward a target at the other end. A team tries to get more of its rocks closer to the center of the target than the other team. Each team throws two rocks during 10 ends (if this was baseball, an "end" would be like an "inning"). A curler wants their rock to come as close to the bullseye as possible. The team with the rock closest to the center of the target when the end is finished gets a point. 3. How Does The Rock Get Down The Ice? While Baseball has a pitcher, Curling has a "thrower". The thrower sends the rock down the ice. The sweepers take over and help guide the rock with their brooms. The "skip", AKA the captain of the team, waits by the target with a broom to take over for the sweepers. 4. What’s With All The Shouting? Curling is all about communication. The thrower screams the weight of the delivery (how far the stone is going to travel). The skip yells to tell teammates how hard they should sweep. To the average ear, this can sound like an out-of-tune choir concert, but there is a method to the madness. When we hear "slider", we think of a tasty little burger, but in Curling, a slider is footwear. Sure, the rock and the brooms are stars of the game, but they aren't Curling's only fancy accessories. Curlers need to effortlessly glide down the ice like a figure skater -- minus the skates. A curler's footwear is unique because each shoe has a different sole. One shoe has a Teflon sole, which makes a curler appear as if they are floating down the ice. The other shoe has a sole designed to grip the ice so curlers don’t end up faceplanting into the ice. And there you have it! Test your newfound Curling knowledge this weekend, as the men's and women's teams battle it out for Olympic gold February 23-25!